I had a Great Birth Day celebration and life keeps going on. 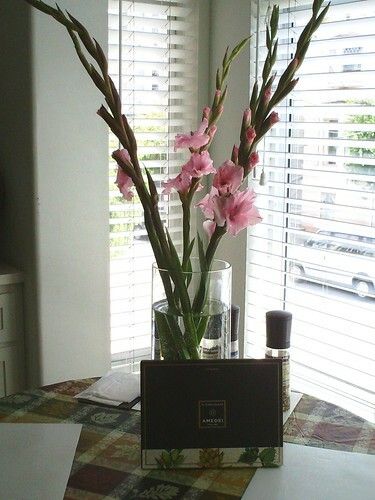 Some Amedei Chocolates and great flowers, there were tulips as well, but I did not take a picture of them. AS I get older little things count more from people I care about. The biggest thing I care about is about me being grateful for a great life. I have to have the gratitude for being in the world and sharing my life with all of you. I want to thank all of you for the Birthday Wishes. The Barbara Walker Learn To knit Afghan is still going, so stay tune for more beautiful squares. Thanks for stopping by! The flowers look amazing!! I hope you had a wonderful birthday!! !